I recently bought a HP Pavilion Gaming Monitor 32″ QHD (2560 x 1440) and plugged it into my 2011 Sony Vaio laptop with an Nvidia GeForce GT 330M, only to find that the max resolution reported by Windows 10 was 1920 x 1080 😪. The specs for the GeForce GT 330 clearly state the max resolution supported is 2560 x 1600, so what was the problem? Firstly, go to the NVIDA website, search for your graphics card and make sure that the custom resolution you require is listed in the specifications. 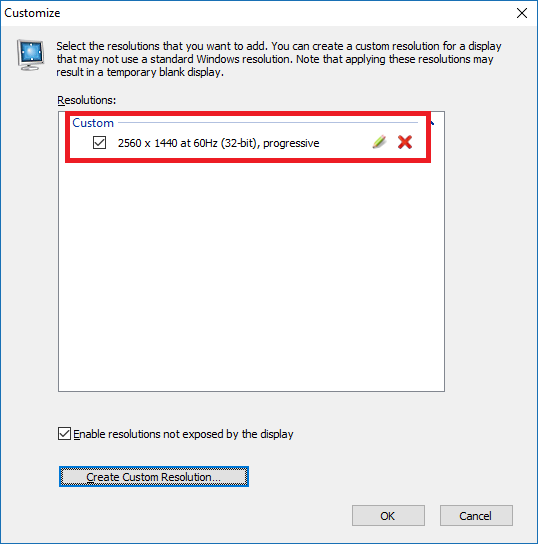 Also check your monitor manufacturer’s website for your monitor specs and ensure it also supports the custom resolution you require. 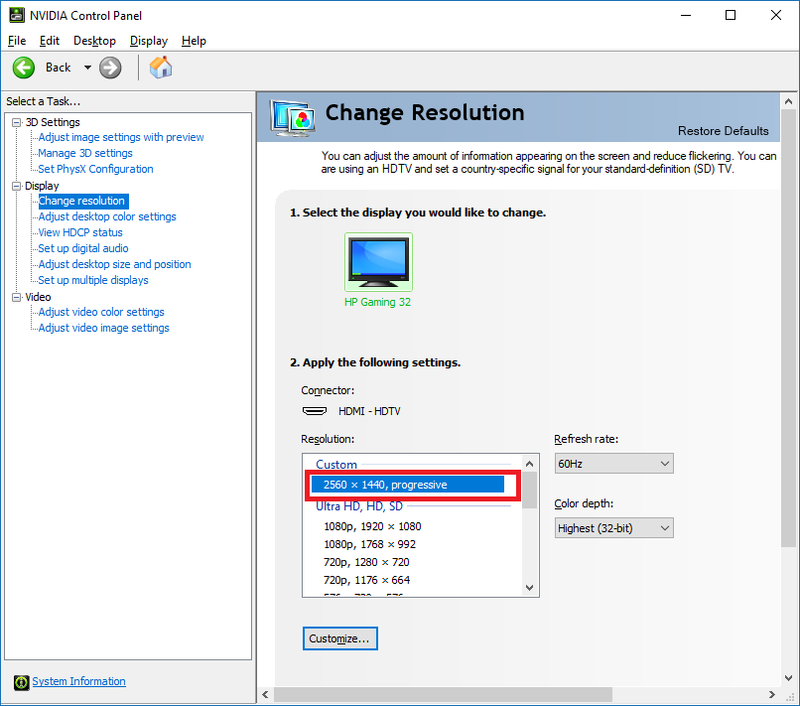 If you are using a HDMI cable, make sure that it supports resolutions higher than 1080p. Ideally, you should test it on another machine to see if it supports a higher res. 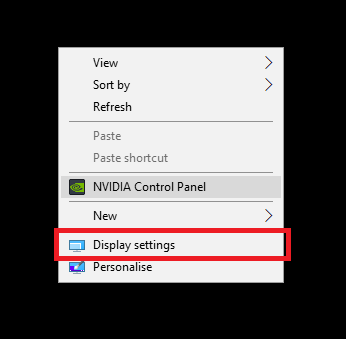 Make sure you have installed the latest driver for both your monitor and Nvidia GeForce GPU as sometimes this can make higher resolutions available to you in the Windows Display settings. Restart the machine, and if the resolution you require is still not shown, continue to the next step to create a custom resolution. 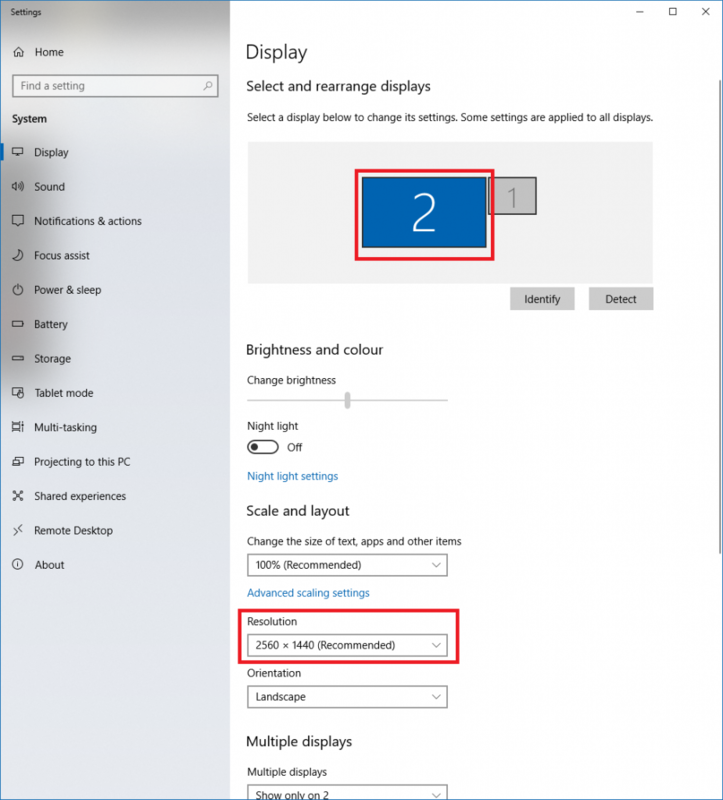 Expand the Display menu, click Change Resolution, and then click Customize. 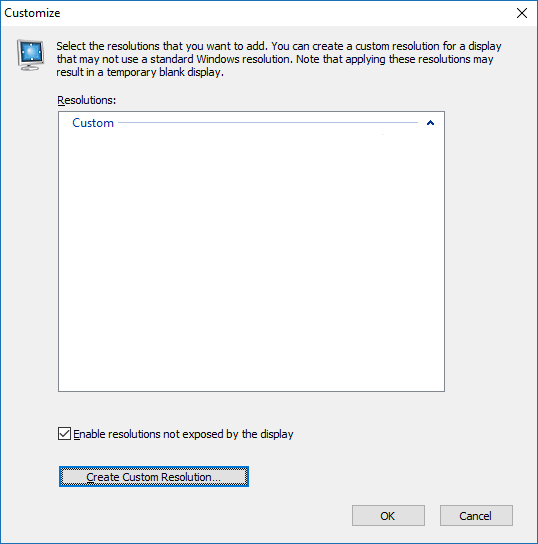 Check Enable resolutions not exposed by the display and click Create Custom Resolution. Type in the Horizontal pixels and Vertical lines, in this example 2560 x 1440. Ensure that your monitor spec supports this. Set your refresh rate, in this example 60 Hz. Make sure to consult your monitor spec for the highest refresh rate supported. Set the Timing to CVT reduced blank. Now for the moment of truth. Click Test. 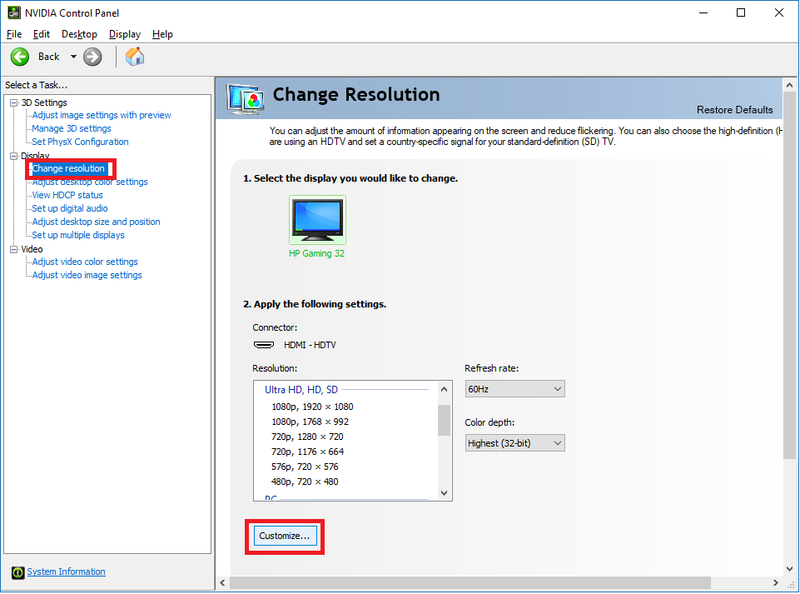 If your monitor resolution looks correct (it should be sharp, not blurry), accept the changes. If it doesn’t look right, try selecting a different Timing Standard from the dropdown or try a different scan type. If you still cannot get it to work, there may be a hardware limitation with your GPU or monitor 😪. If you can, test the monitor on a different GPU, or test your GPU on a different monitor to try and isolate the problem. You should now see your custom resolution. Click OK.
Below you can see the custom resolution. 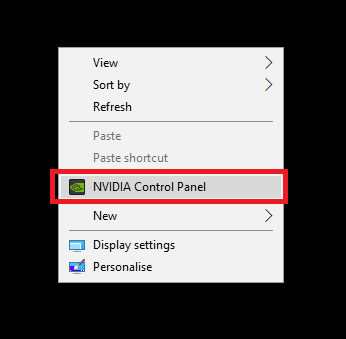 Close NVIDIA Control Panel. 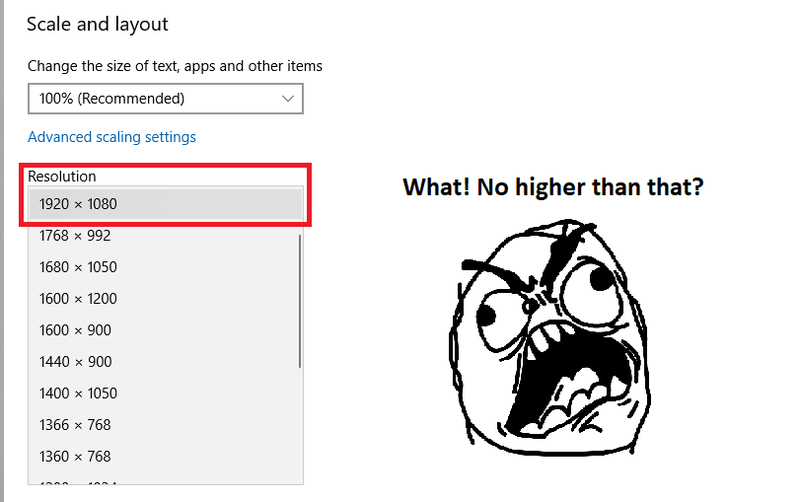 Right.click on the Desktop and click Display settings. 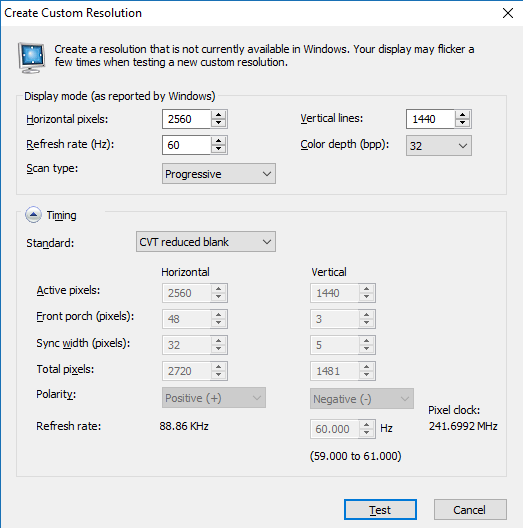 Make sure to select the correct monitor and you should now see your new custom resolution listed.